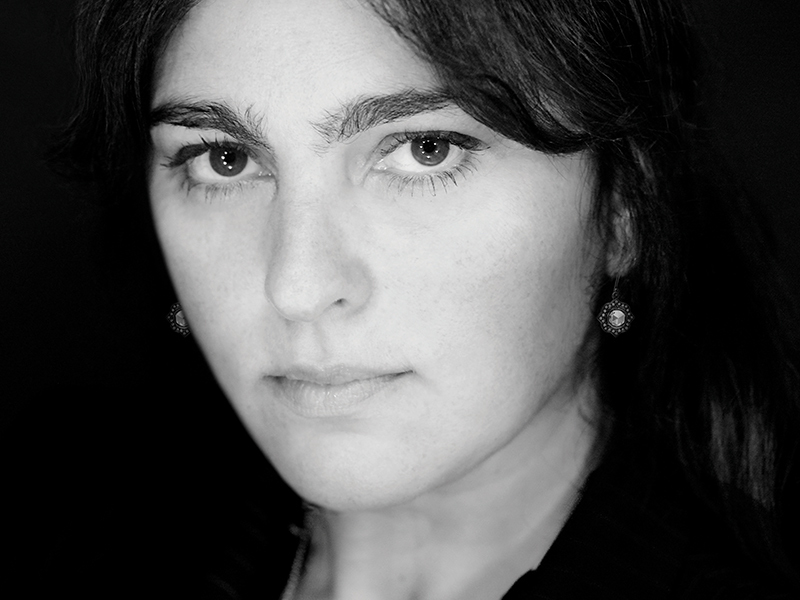 Since designing her own engagement ring in the late 1980s, Solange Azagury-Partridge has never approached jewelry in a typical fashion. The self-taught London-based designer makes statement pieces that are often a blend of precious and semi-precious stones. The results are playful and museum-worthy: several of her pieces are part of permanent collections at the Victoria & Albert Museum and the Musée des Arts Décoratifs at the Louvre. She and her home are also featured in The Authentics, a book out this month from photographer Melanie Acevedo and founding editor of Domino magazine, Dara Caponigro. I asked about her creative process, interiors, and expanding her jewelry line into other areas of design. You have said of your design ethos: “Everyone goes for the path of least resistance. Not me.” How does that translate to your creative process? 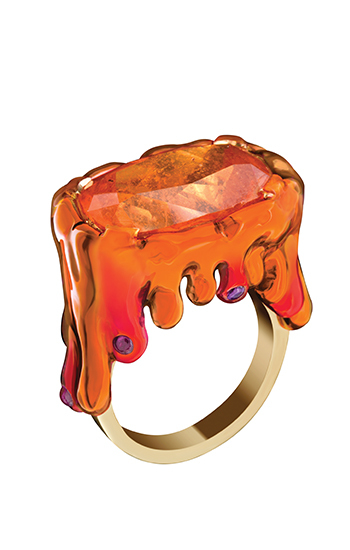 When it comes to ideas, I tend to focus on something that interests me rather than conceiving of something from a jewelry perspective; then I go about translating the ideas and concepts it sparks into jewelry. I definitely challenge myself rather than go back to what I know or have already done. 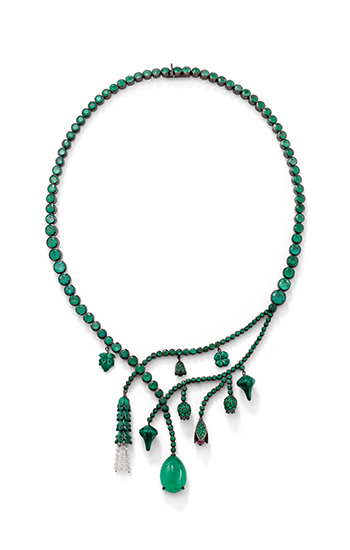 In addition to pieces that have found permanent homes in museums, your design “The Secret Garden” is currently on view at the Musée d’Art Moderne de la Ville de Paris as part of MEDUSA, an exhibition of fantastic jewelry and the taboos associated with them. Can you tell me about your piece in the exhibition? My “Secret Garden” piece comes from my Metamorphosis collection. A series of five objets that transform from decorative tabletop pieces into wearable jewelry once they are taken apart. 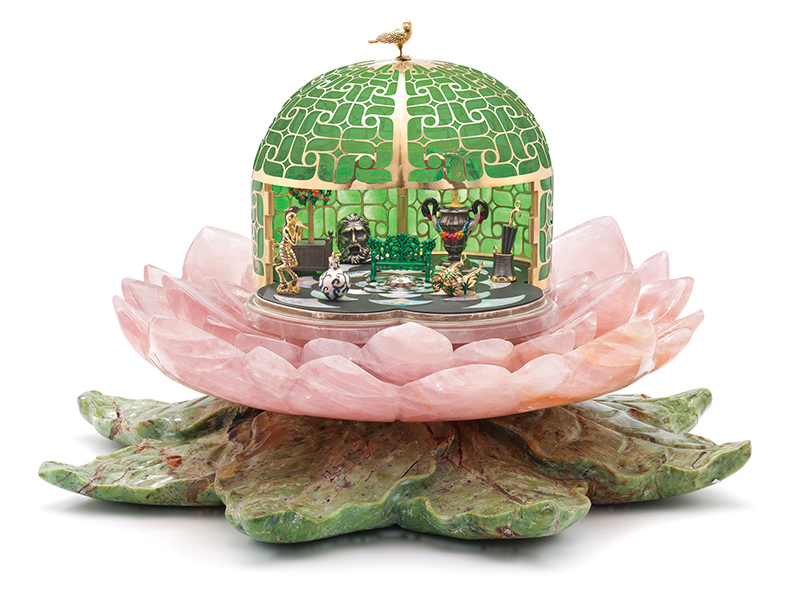 The secret garden is a green house sitting on a large rose quartz and chrysoprase lotus flower. The house comes apart to reveal a black and white onyx and opal tiled floor which lifts out to become a necklace. The house becomes a bowl for your jewels and two cuffs to wear. Inside are shoes left behind by a party reveler and several other indoor garden objets that can also be worn. 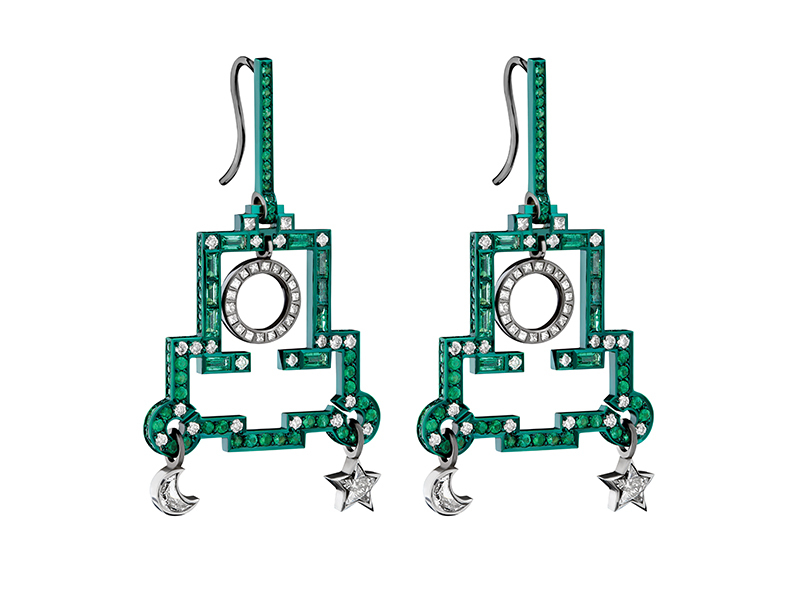 It’s a grownup jewelry fantasy. You are featured in The Authentics, a new book on creative trailblazers and their homes. What is your approach to interior decorating? My home is so important to me: It’s my sanctuary from the world and where I feel safe and happy, surrounded by my loved ones and things. I basically buy what I like—be it furniture, objects, or fabrics—and stuff it all together. In the words of William Morris, you should surround yourself with either beautiful or useful things. Both if possible. I love the visual chaos and mix of everything. My pieces are all like a bunch of great friends at a party who look and are different from each other yet get on really well together. Do you have a certain wearer or client in mind when you are designing? Not really. I just try to make sure it’s wearable and comfortable. Hopefully it will suit anyone and make them feel like an enhanced version of themselves. 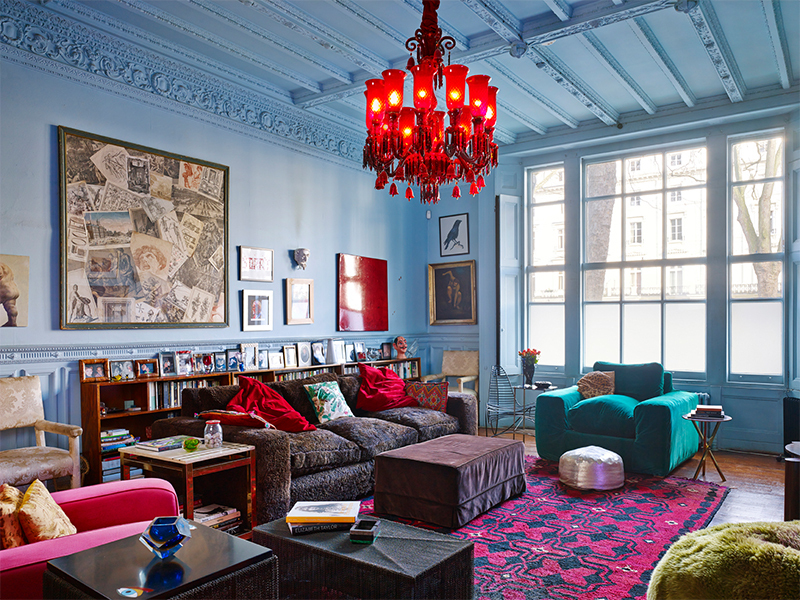 Your portfolio also includes rugs, neon wall art, and objets d’art. Is there something you would like to try your hand at that you haven’t yet? I like the idea of doing a tiny capsule of clothes and shoes.